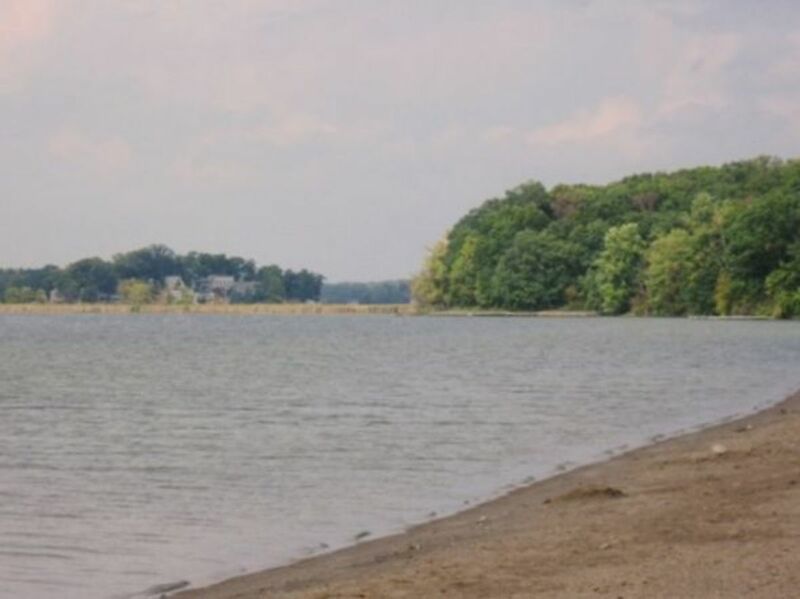 Pokagon State Park lies in the north eastern corner of Indiana, near Angola, Indiana. 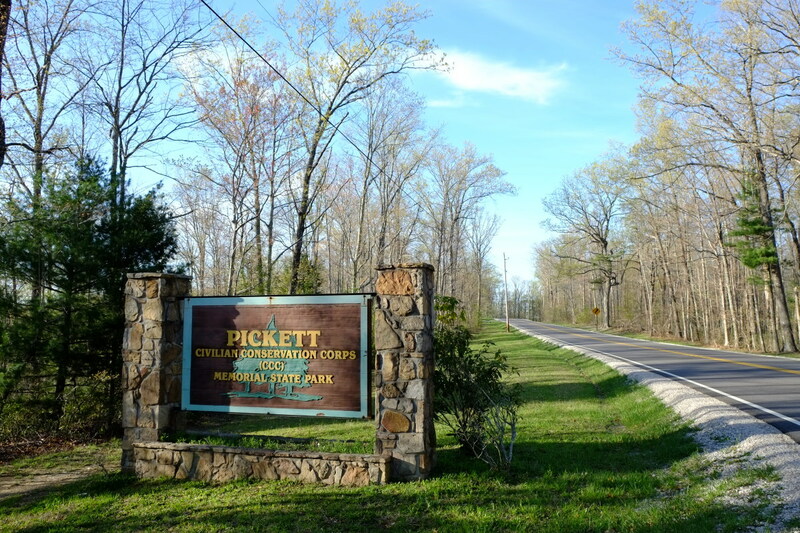 The park offers visitors camping, fishing, boating, swimming, hiking, and horseback riding. In the winter, sledding, ice skating, cross country skiing, ice fishing, and even a toboggan ride can be added to the list of entertainment. During a visit to the park in September 2009 I took some photographs and will share them with you here. 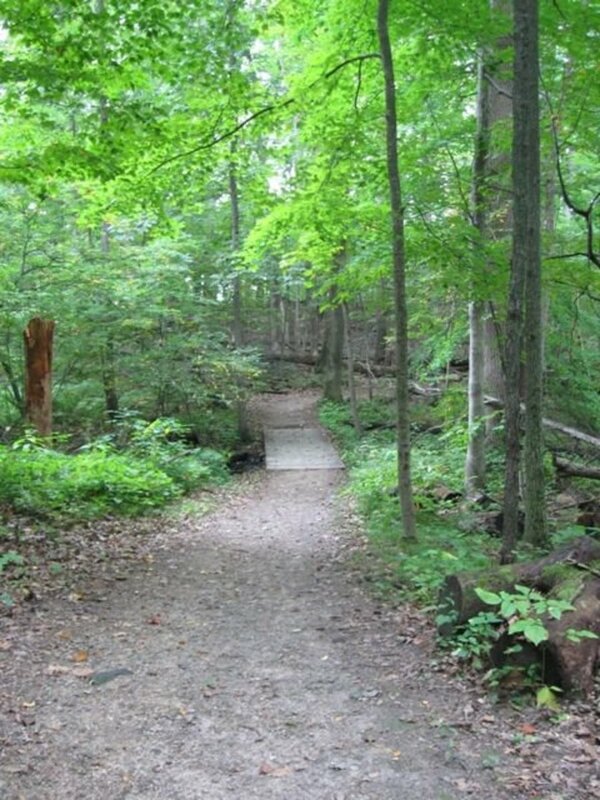 Learn more about what the park has to offer, enjoy a few of it's sights, and find other pages about Pokagon here. 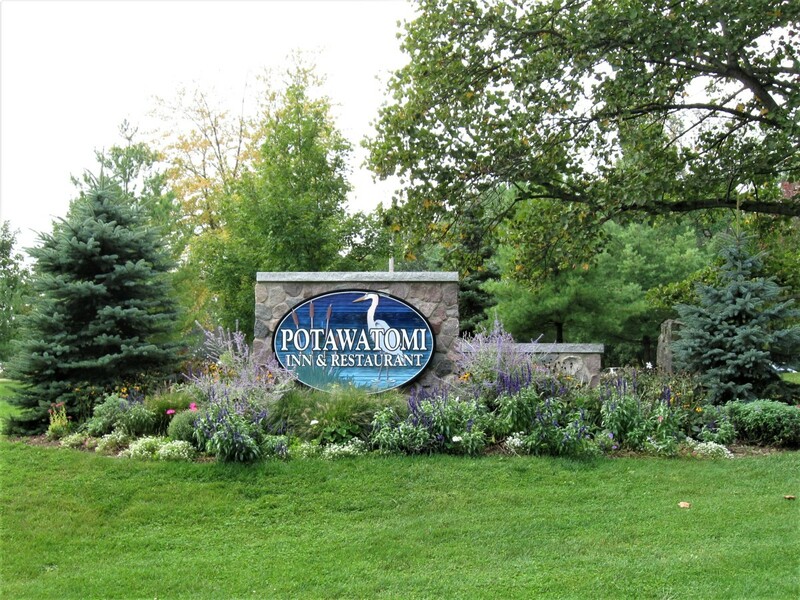 The land that includes Pokagon State Park was originally inhabited by the Potawatomi Indians. 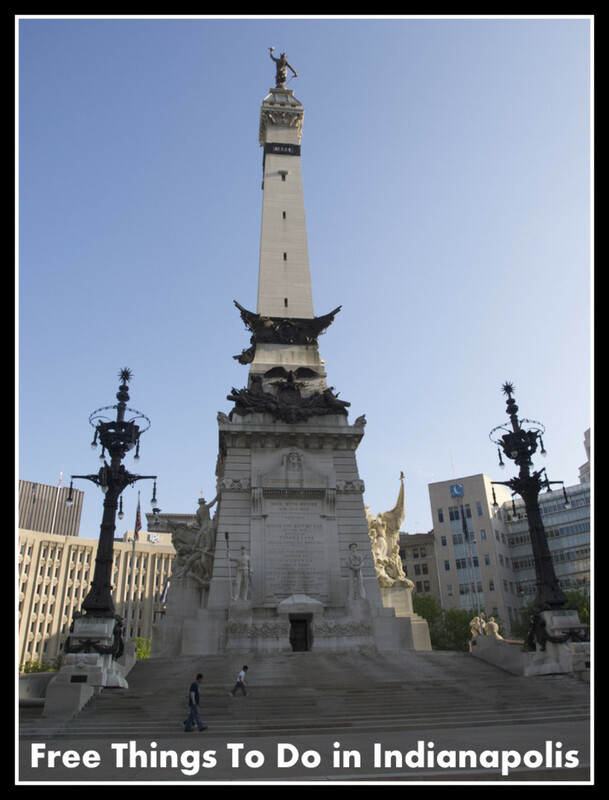 Later it was established as a state park in 1925. It covers 1,260 acres of land and is bordered on it's west and much of it's southern side by Lake James while Snow Lake is near it's northwestern end. Getting to the park is very easy as it lies just off of interstate highway 69 at US highway 27 just 5 miles north of Angola, Indiana. There are several campgrounds within the park and a number of picnic shelters. Visitors can make online reservations for any of theses facilities online. There are also cabins for those who want a rustic experience as well an Inn for those who want more of a resort type of experience. 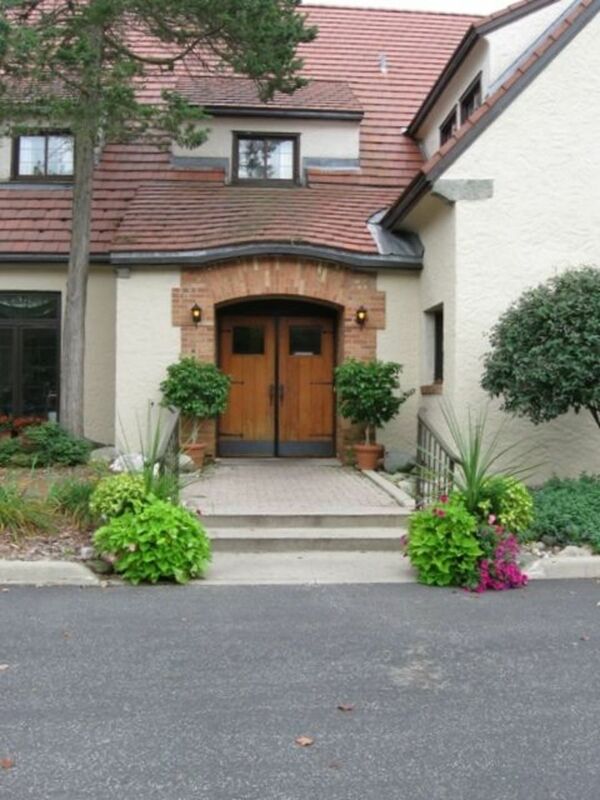 The Potawatomi Inn includes a swimming pool, sauna, restaurant, conference center, and much more. The Inn offers a lovely view of the lake as well as a roaring fireplace on cold winter days and gives visitors the feel of a rustic European Chalet. 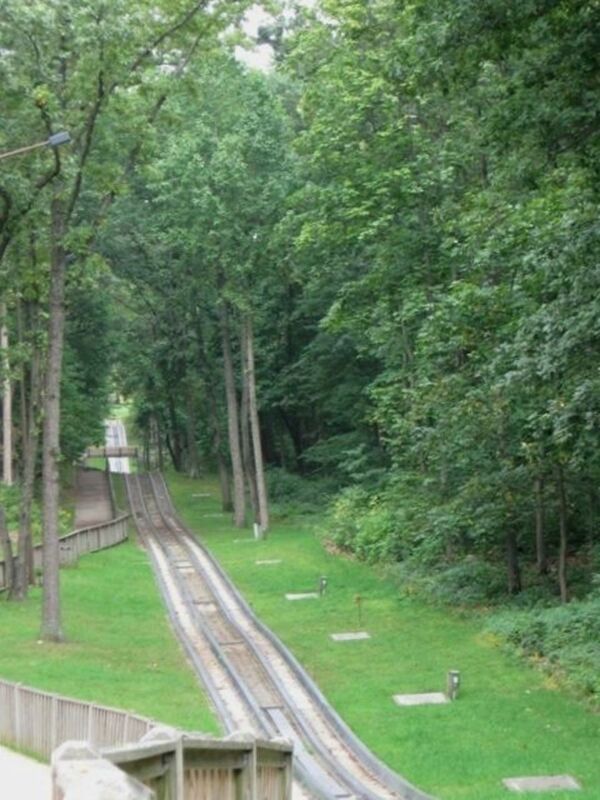 Cabins are in the woods nearby and the volleyball courts, toboggan run, and beach are all located in the same area. The park has a saddle barn and a two mile bridle trail as well as a beach that's open from Memorial Day weekend through Labor Day. Boats can also be rented. 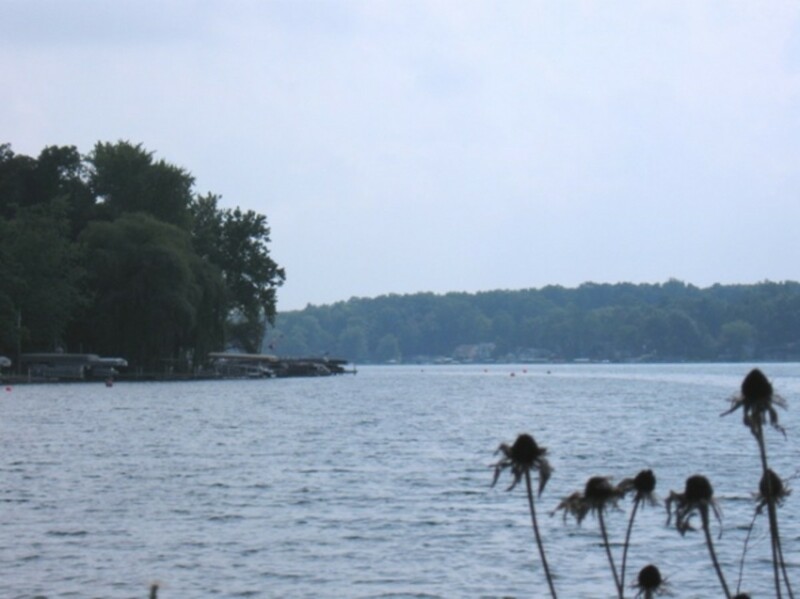 Fishermen can find bass, bluegill, walleye, crappie, catfish, and northern pike in the lake. The Toboggan Run, pictured above at it's foot, was originally built by the CCC in the 1930's but has of course been renovated. It's a 1,780 foot refrigerated twin track and is open to visitors on weekends from the end of November through the end of February. It's open additional hours during holiday periods. 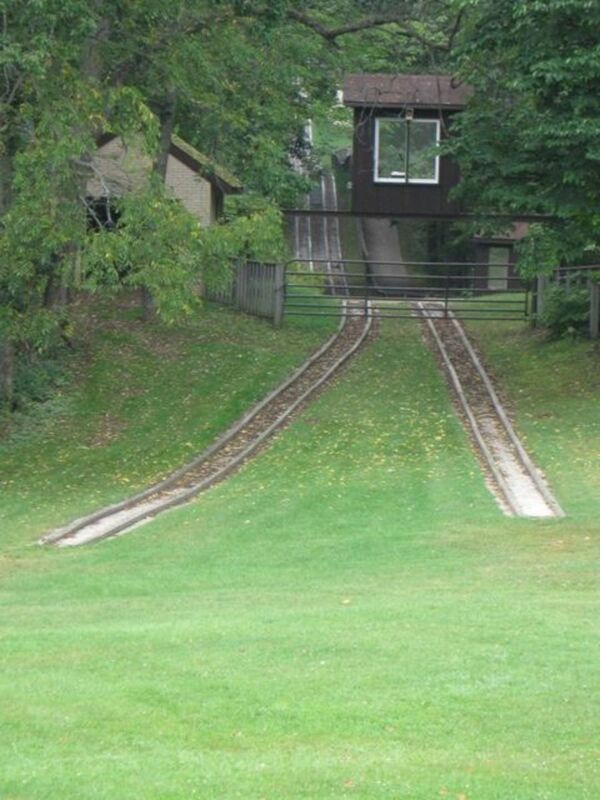 The toboggans can be rented by the hour and hit a top speed of about 40 miles per hour. You can learn more about it the Tobbogan Run on the website or view a video of a ride below. 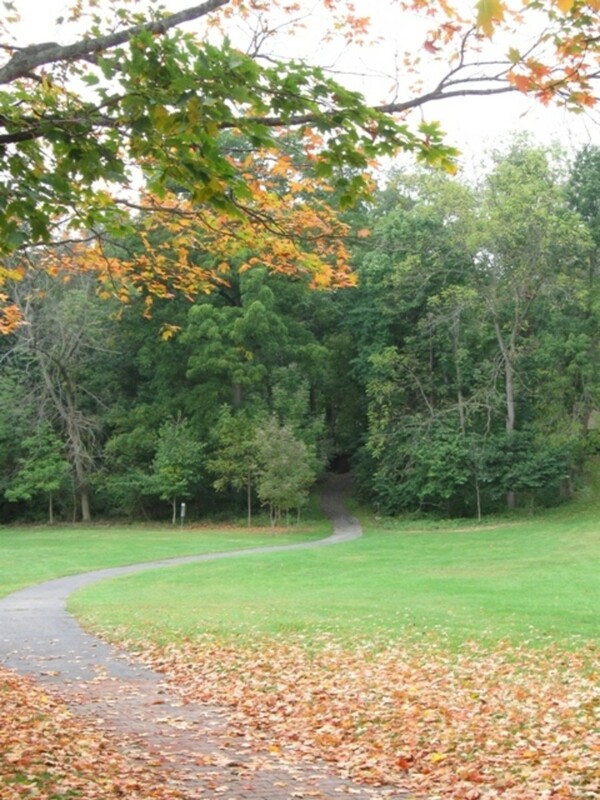 Pokagon also has a paved 1.6 mile bike trail that winds around from the main entrance gate, beyond the saddle barn, through some picnic areas, and ends up at the nature center. It's an easy, level ride. 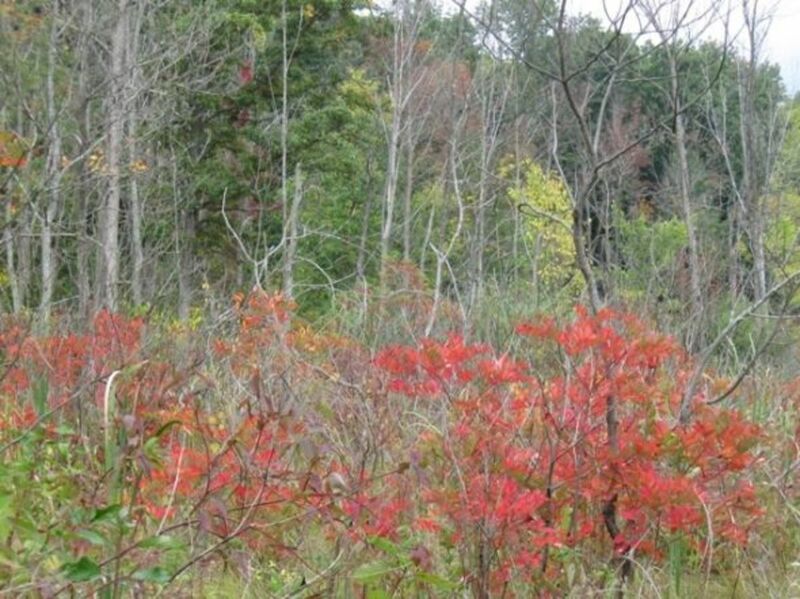 Pokagon offers over 13 miles of hiking trails The landscape is mostly wooded and rolling but there are also some wetlands and marsh. A trail map can be found here. Trail 1 is 2 miles long and lies on the southwestern border of the park with Lake James lying at it's edge. 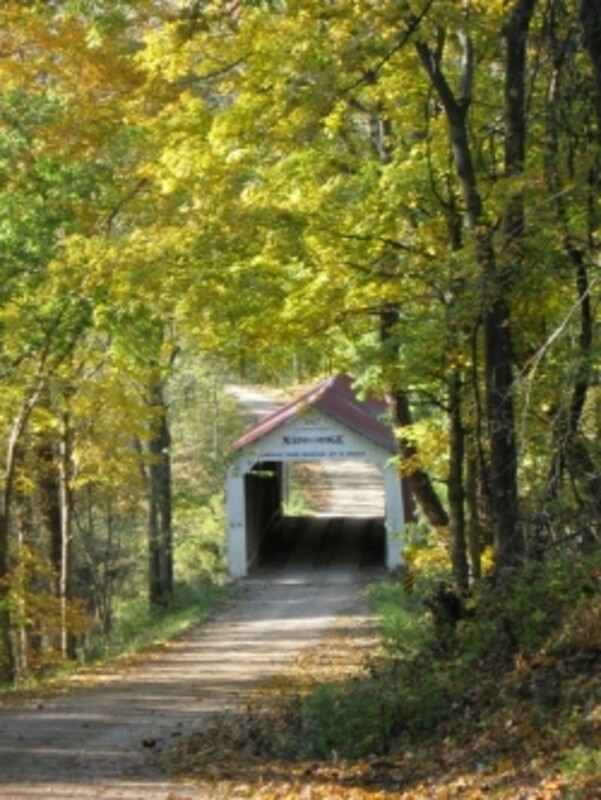 It can be picked up between the Volleyball Courts and the Lake and will loop around returning hikers to the Inn as it parallels the bike trail near the saddle barn. 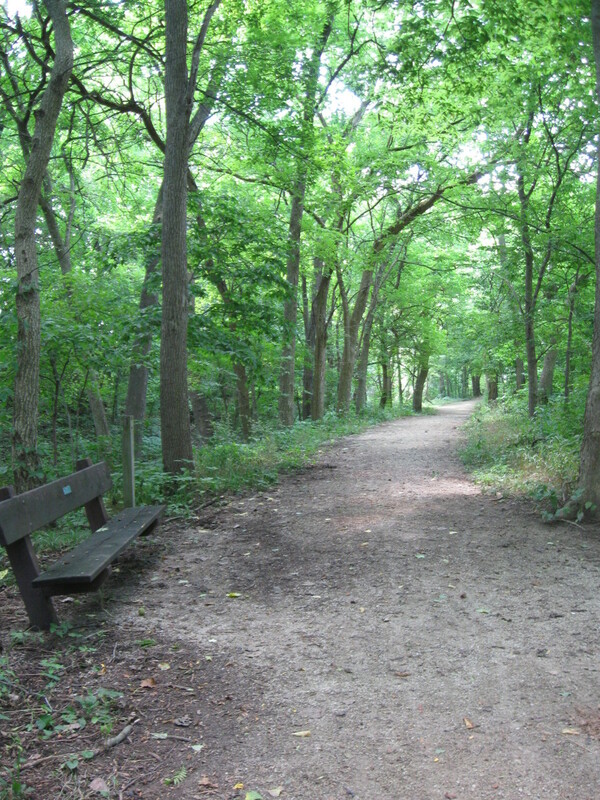 This trail is easy to moderate and gives you the opportunity to hike over to the Nature Center. Trail 2 is a 2.2 mile hike at the northwestern end of the park and is easily accessed from the various campground areas. Trail 3, also 2.2 miles long, can be access near the Inn parking lot and gives hikers access to a number of other trails. 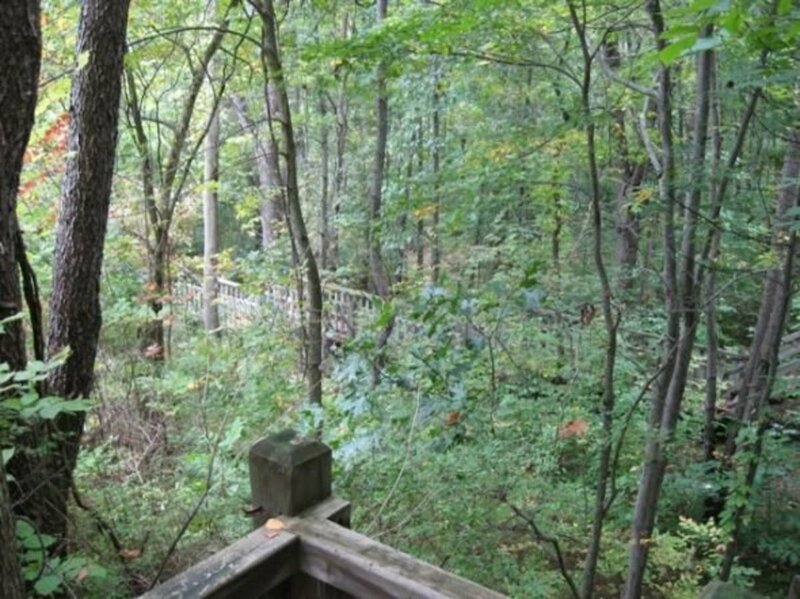 Trail 2, 7, 8, 9, and 6 can all be picked up here.It will also lead to the highest point in the Park, Hell's Point where you can climb a few steps and get a view of the surrounding woods. 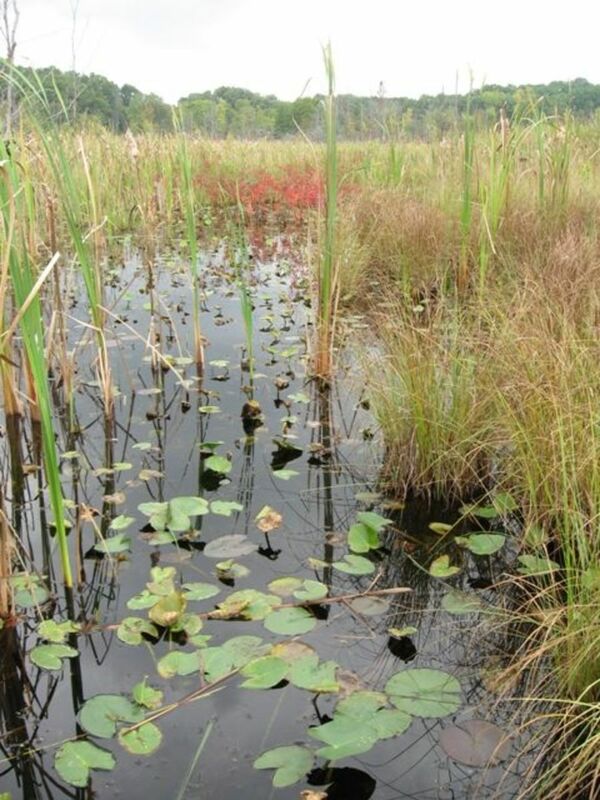 Trail 3 will give you a taste of not only the area hardwood forest, but some marsh as well. 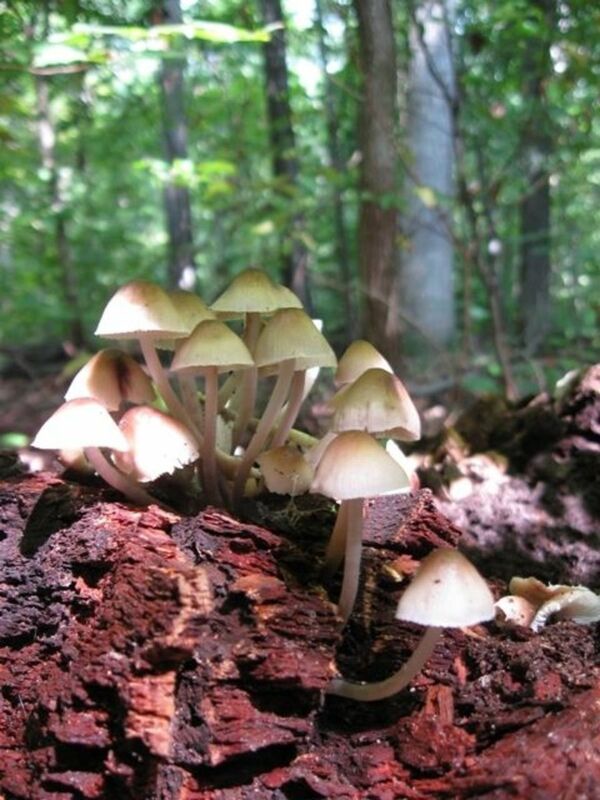 The Beechwood Nature Preserve is a small area that offers an additional hike through preserved forest and meadows that is lightly traveled. It is not part of Pokagon State Park and is not state owned but lies at the northeast end of the park and is accessible off of US highway 27. 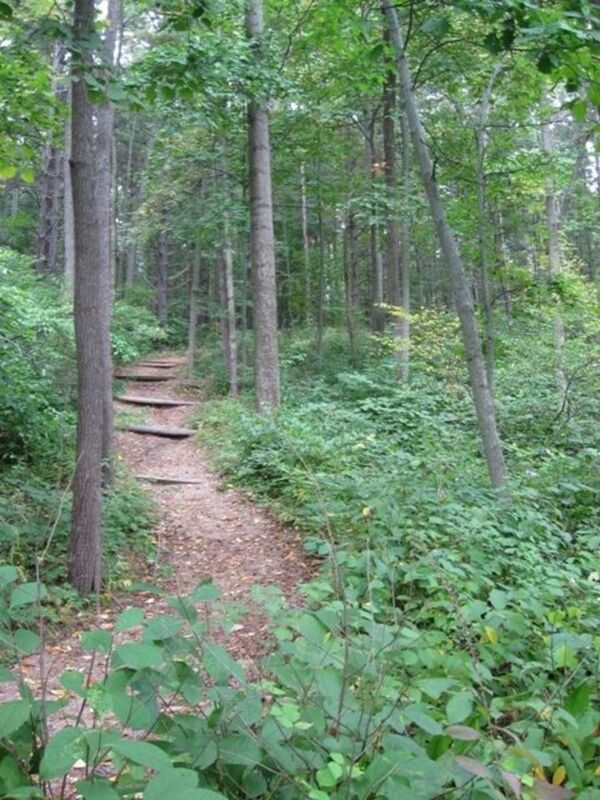 Trails 4 (1.2 miles) and 5 (.7 miles) offer the easiest hiking at Pokagon and can be accessed near the entrance of the campground at the Black Cherry Picnic Area. Trail 5 will take you to the Bath/Beach House where you can swim or get refreshments. Trail 6, is a short hike off of trail 3 which loops around through an open meadow area, while Trail 7, 1.8 miles long (Blue Bird Hills) is another easy hike giving a view of prairie vegetation and wetlands. 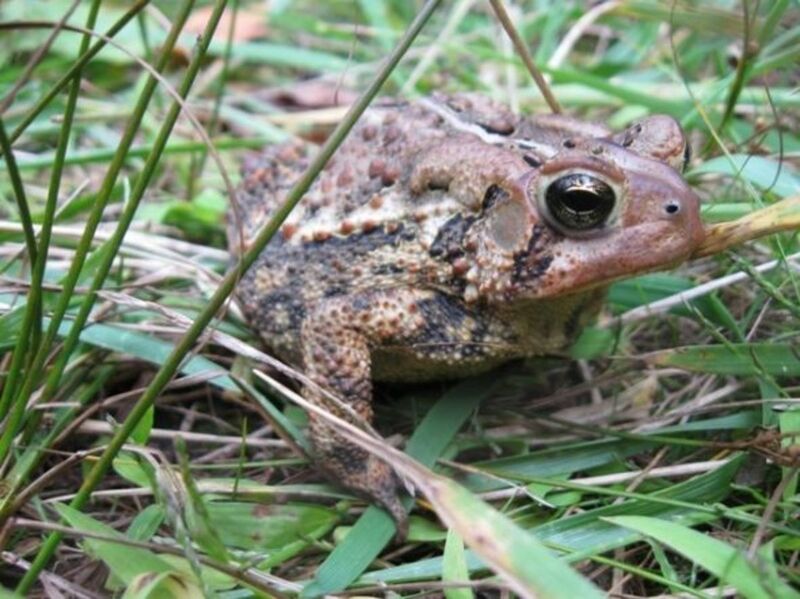 Trail 8, 1 mile, and Trail 9, 1.7 miles, can also be accessed from Trail 3 and give hikers a range of environments, from hardwood forest, to open meadows, marshes, and prairie land. All of these areas are great for spotting birds, wildflowers, and small wildlife during the warmer months. I wouldn't consider any of the hiking at Pokagon to be rugged. The footing is always solid, and although it's rolling, there are no extended climbs. 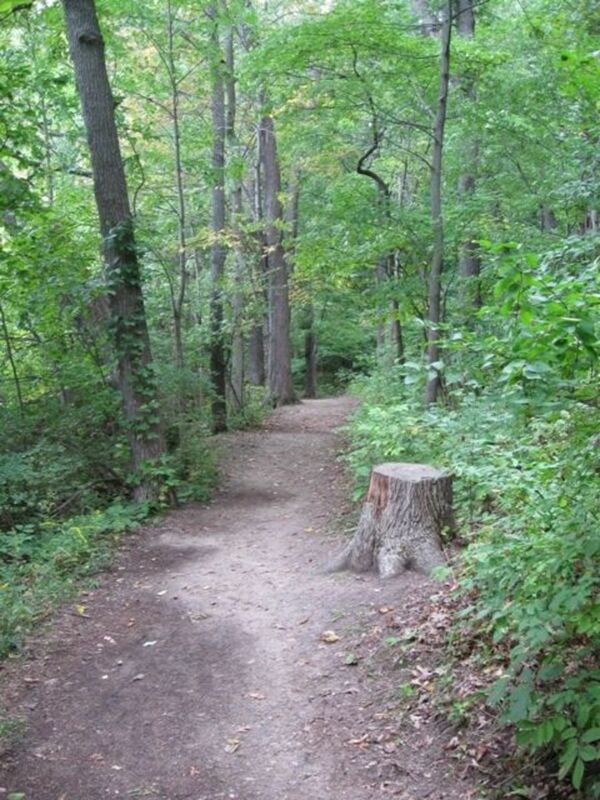 Trails are also well marked. By the pics it looks like a beautiful park, I don't believe I have ever been there. 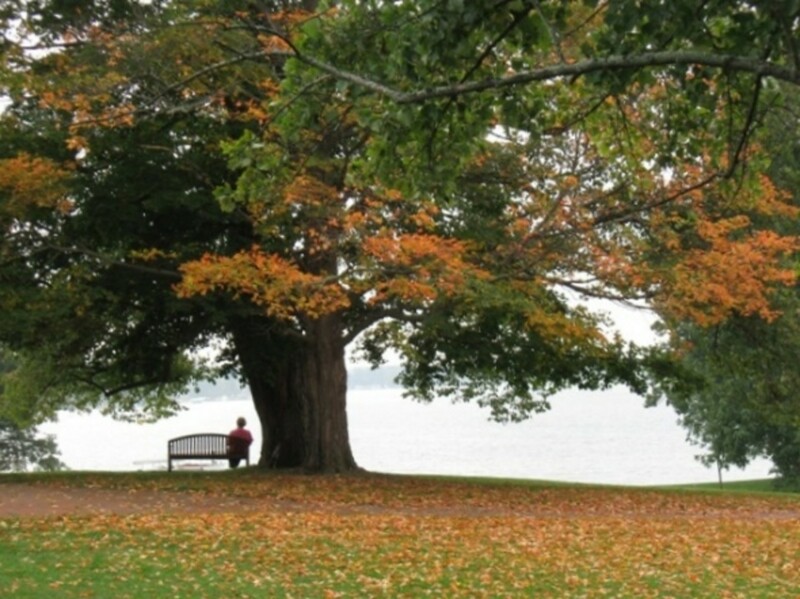 I would love to go for a long walk in this park in all its seasons. Great lens! Would like to see Pochahontas in her canoe there. Beautiful photos! Looks wonderful. I love the colours of the leaves. Pokagon is a beautiful park! your pictures are great!